I'm an active foodie, wife, and self-proclaimed health nut. I enjoy travel, good beer, and playing with my furry children (cats). Thanks for stopping by! 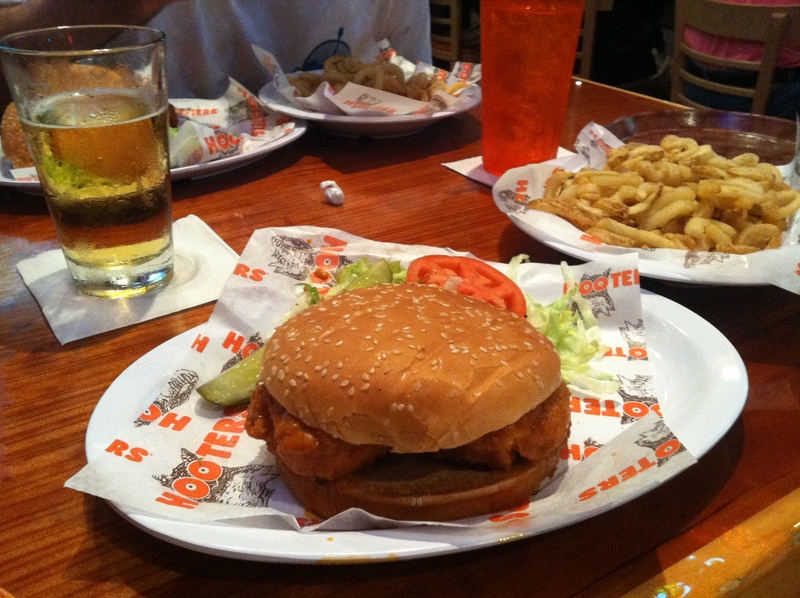 Hooters has awesome fries and a really awesome buffalo chicken sandwich. I managed to avoid all the tailgate munchies, so I “deserved” this. Okay… no one “deserves” a bunch of hydrogenated oils, but it was finger-lickin’ good. On Sunday, we went to the lake in the afternoon and a neighbor’s place in the evening. I have no pics, but you can be sure that it wouldn’t have been Labor Day Weekend without football, boating, and grilling burgers in the ‘hood. 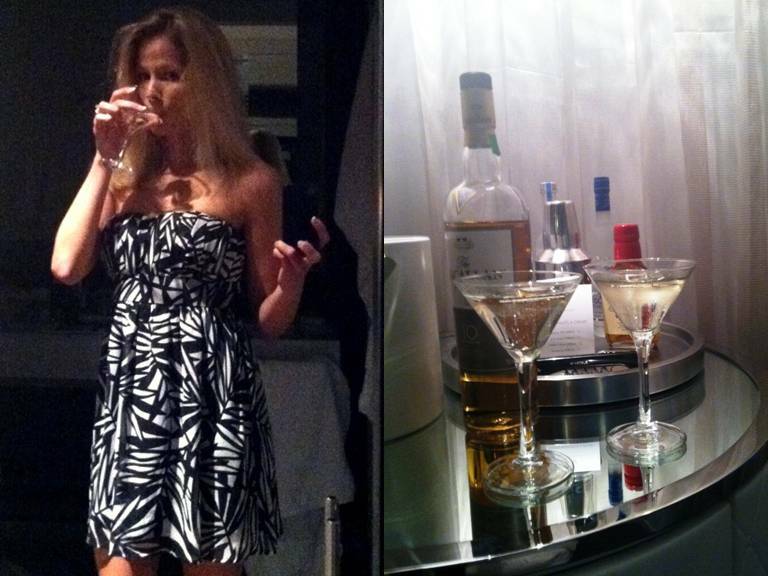 There were also a few beers thrown in the mix, which is no surprise! To end my labors today (well… not really… I have a bunch of chores) I will leave you with some link love to enjoy. A Healthy Slice shows us some great tailgate recipes. Good for You has her inspirational transformation story. Daily Garnish recently published a beautiful post I really recommend you read. FitSugar lists the calories burned in popular Labor Day activities. Martha Stewart’s Whole Living explains benefits to turmeric. Hello! I have the day off from work, but I’ll still be pretty productive. I have 3 doctor appointments today. (Well, technically 1 is a dentist appointment.) Today I get to see the podiatrist. Hopefully I’ll get all my foot issues fixed. Cross your fingers for me! Now it’s time for the topic of the day, calci-yum. I threw the “yum” in there because 1) I’m a dork and 2) getting calcium can be delicious. In my One Hot Mess of a post, I mentioned that one of my goals is to actually take my calcium supplements instead of habitually ignoring the bottle on my vanity. Some of you mentioned that you wouldn’t mind a special calcium-devoted post, so here it is. We know we need it, here are a few examples from the Milk Matters campaign explaining how to get it. Keep in mind that the body can only take in about 500 mg of calcium at once, so don’t spend get it all in one place. Of course, you can always pop a pill. 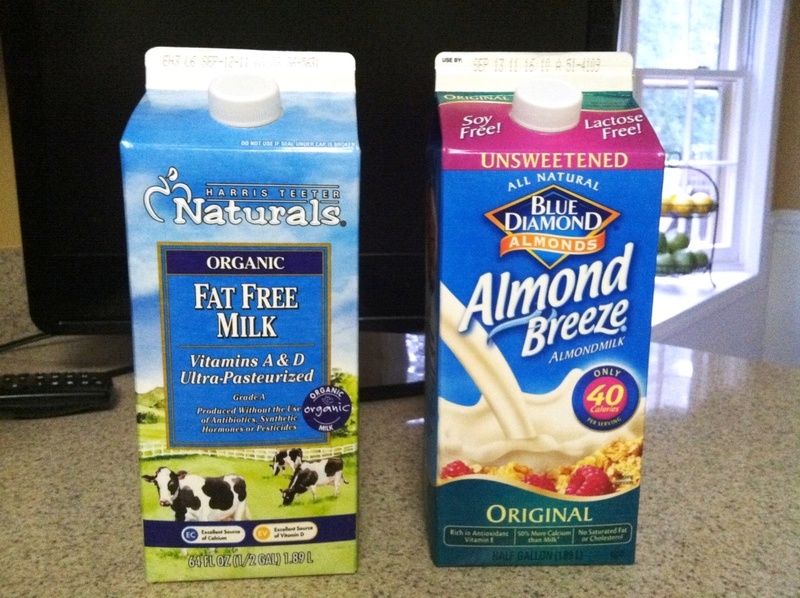 One WebMD article says that the type of calcium you take does not matter, so you can just opt for the cheaper one. Getting one with vitamin D is often helpful though, since vitamin D helps calcium absorption. (Most doctors recommend taking supplement with food to promote absorption, but the Dairy Council says veggies and grains can inhibit absorption… hmmmm???) My doctor recommended Citracal, so that’s what I take. Luckily, they have coupons on their website right now. There’s more to it than popping a pill or eating yogurt. For extra bone health, bone-up on your vitamin D, and include weight bearing exercises in your fitness routine. (Woohoo! All my years of playing soccer helped my bones!) WebMD also gives us the less fun info: limit sodas, antacids, caffeine, excessive alcohol, excessive sodium, and excessive red meat. Oh, and by the way, I was going to swim some laps today at the gym, but I’m just not feeling it. I stayed up too late, and although I’m up early now, I think I’d rather just go tomorrow. I’ll probably do some pilates later before lunch instead. So why was I up late??? IPA Day of course! Here’s what I did: beer shop with drinks and dinner, then a friend’s house to celebrate the occasion. Do you take a calcium supplement? Did you celebrate IPA Day? Hurray for Friday! Today’s post is a mini recap of yesterday and a fun-stuff-Friday mix. Yesterday did not play out as I had expected. In the morning, my running buddy and I didn’t do our regular Three-mile Thursday. (We decided that sounded more responsible than our “Thirsty Thursday” meet ups in college.) My legs gave me a fit, so we only did two miles before I headed home for abdominal work. Due to the shorter run, I planned to do yoga at night. Instead, Kev and I met our friends at a park-like place an outdoor concert. This was my first trip to this venue, and lemme’ tell ya, I plan on returning! 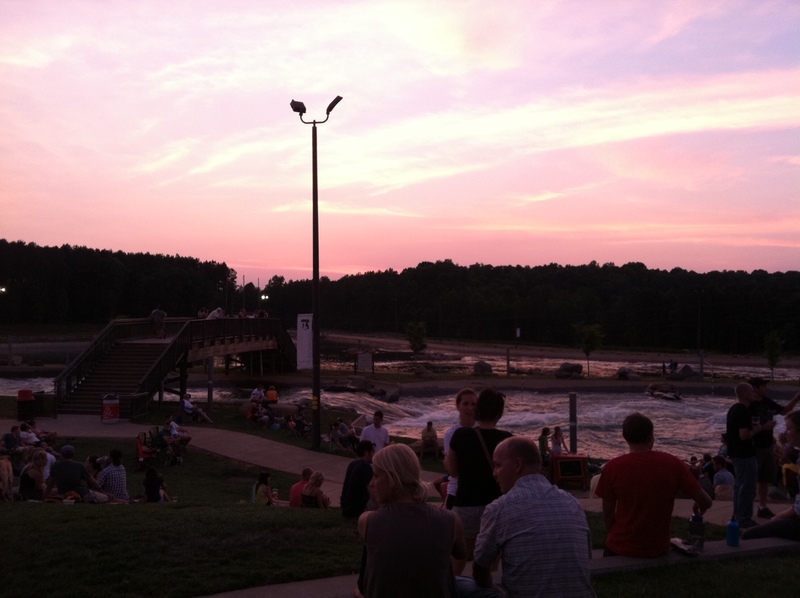 They have low and high ropes courses, mellow kayaking, a slalom rapids kayak course, rock-wall climbing, zip lines, and a bunch of trails. Did I mention they also have beer? Good beer? Oh… yeah, that’s important too. An evening of jams, beer, animals, and good weather is something I couldn’t pass up. Sorry yoga. My evening was even better because I had a sweet potato and a spoonful of peeb (peanut butter) for dinner before the show. ::Big Smiles! :: I didn’t get a beer at the concert (whaaaaa??? ), but I appreciated the great selection nonetheless. CheersBeers has an interesting post. I too use a “Tiff Cup” that looks like a pint glass but only holds about 12 oz of beer instead of 16. I love having it on hand when we have a keg or full growler at the house. Beer Runner is another great site. See… I’m not the only one who pairs the two! On a side note, a buddy in college completed a half marathon while moderately inebriated. No, I’m not recommending this or planning on doing it myself, but it’s just an entertaining tidbit for ya. 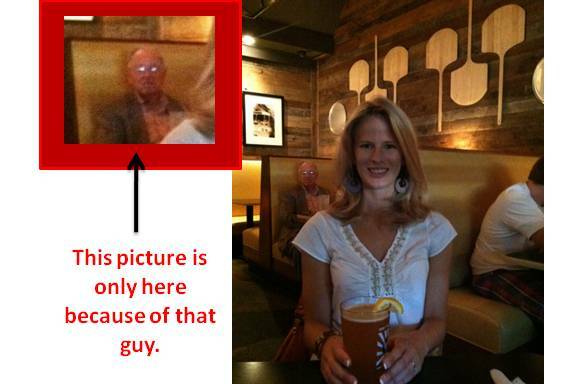 There, now you know a little more about Clemson Girls. 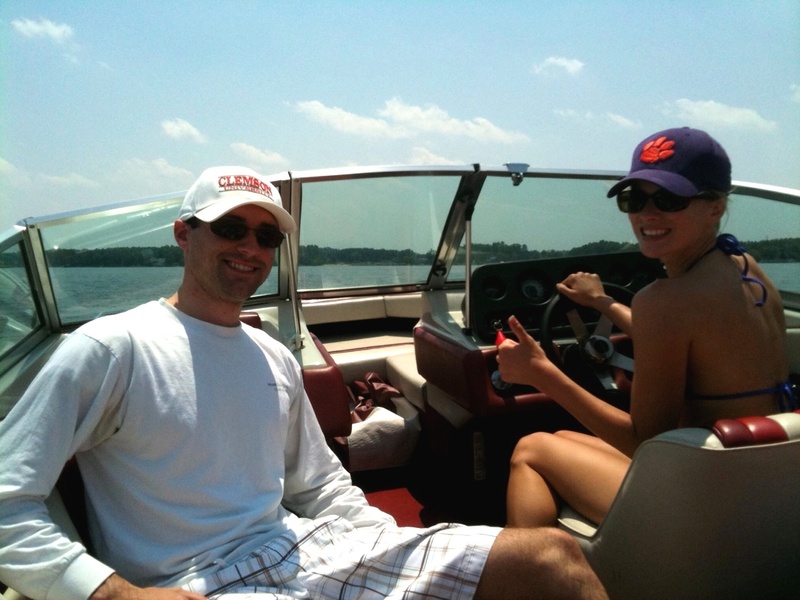 Check the Clemson Girl blog I found for more info if desired. Have a great weekend! Oh man! I have sooooo many pictures from yesterday; I don’t know where to begin! I guess it makes since to recap the day from the beginning. For those of you who may or may not have been following my trip, I’m still on the Hollywood fitness vacation I won from PopSugar, or more specifically, FitSugar. I met with nutritionists and had some awesome meals on Tuesday. 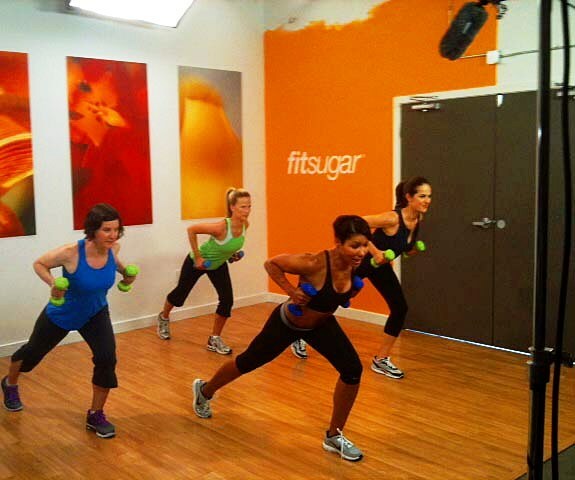 Then I made a mini workout video for FitSugarTV with Jeanette Jenkins on Wednesday. Read on down to learn more about Thursday’s activities. As I previously noted, I didn’t get as much of a workout Wednesday as I had hoped at the video shoot, so I made a last-minute decision to get in a quick workout before the PopSugar Inc. people picked me up from the hotel. (I felt like I really needed one after my bagel, light cream cheese, and cashew breakfast!) I only had 20-25 minutes, so here’s a rundown of my off-the-cuff, arm-circuit sweat session. 5 Minutes Elliptical – It’s a warm-up, but you should get a little winded. I did each circuit three times before moving to the next one. This should be quick, but don’t do the moves too quickly. Just limit your rest time in order to keep the heart rate elevated. I finished in 25 minutes. 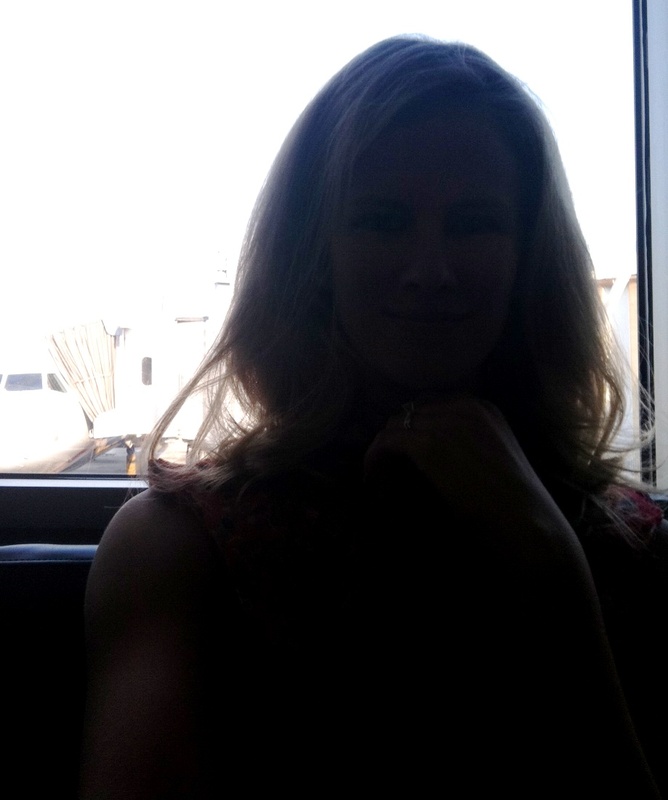 I had a quick shower, and PopSugar Inc. then took Kev and I to their studios for hair, makeup, and lunch (No, Kev did not get hair or makeup!). For lunch, I ordered a grilled chicken sandwich with avocado (hold the cheese, bacon, and mayo) with a side salad. Nothing to write home about… well… I blogged about it, but it’s not picture- or detail-worthy. I was supposed to be filmed using the ridiculous-looking Elliptigo product. For shizzle, these goofy things sell for about $2k. When my turn came to try it out, I kind of freaked out. I saw myself totally falling over sideways. I never learned to ride a bike, so I wasn’t sure about the whole momentum thing you need in the beginning. It just seemed too awkward for me. Kev gave it a quick whirl though, and he did great. I got a small, but Kev got the mini. Bad choice Kev! Instead of sticking around for the rest of filming, they let us walk around Santa Monica before the next activity. Sweet! 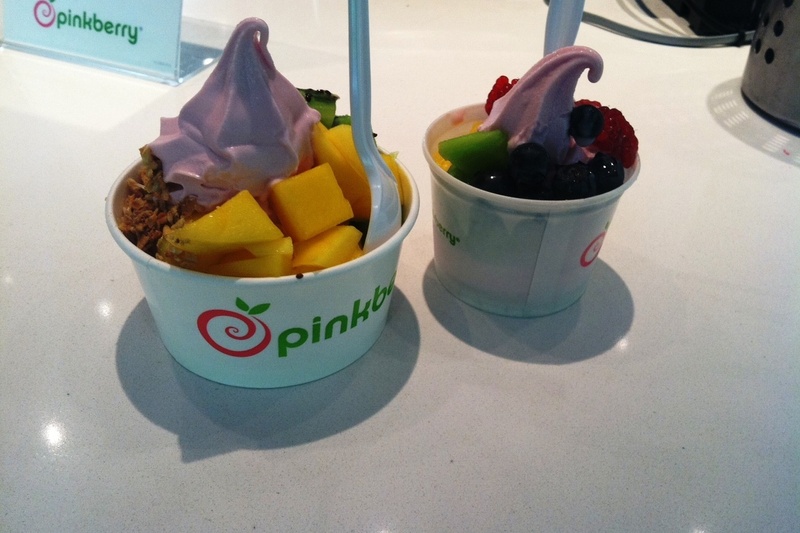 I had my first Pinkberry experience before hitting up the beach. After beaching it up a while, Kevin and I met the PopSugar folks on the Santa Monica pier at the Trapeze School of New York. 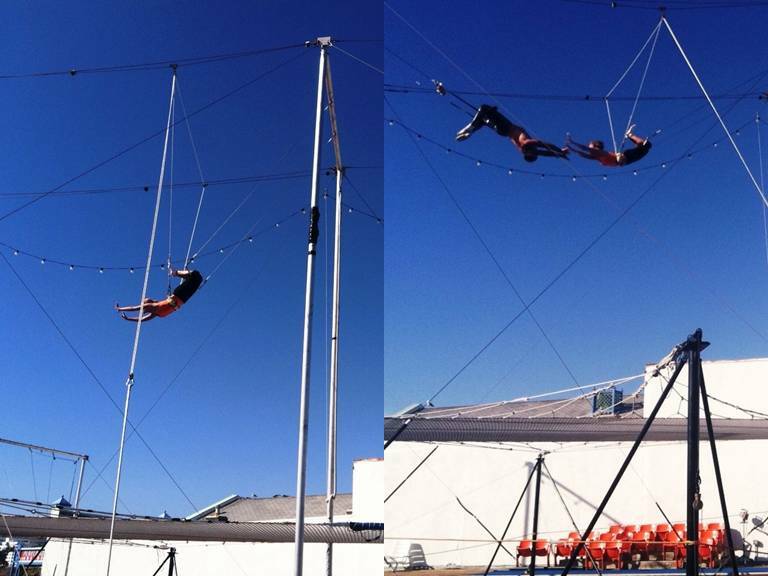 Yup, the next activity is trapeze school! You had a really great view of the beach from the top, and I think my legs got a little workout from it. I didn’t feel tired, but my hamstrings were a little sore later in the day. PopSugar was nice enough to let Kevin do it too! After returning to the hotel, Kev and I got gussied up for dinner. We didn’t eat until 9:30 pm due to the traffic returning from the pier, our showers, and the fact that we split some champagne and cheese/crackers in the room. We hit up Cleo for dinner, which was great. The restaurant features tapas-style dining, so we started with the Brussels sprouts. I prefer my version, but Kev really liked these. They were more oily and salty, but they added vinegar and capers. Delish! We then tried lamb shawarma. It was different and not covered in any sauce, just perfectly blended spices. Next was the beef cheek tagine. Amazing! 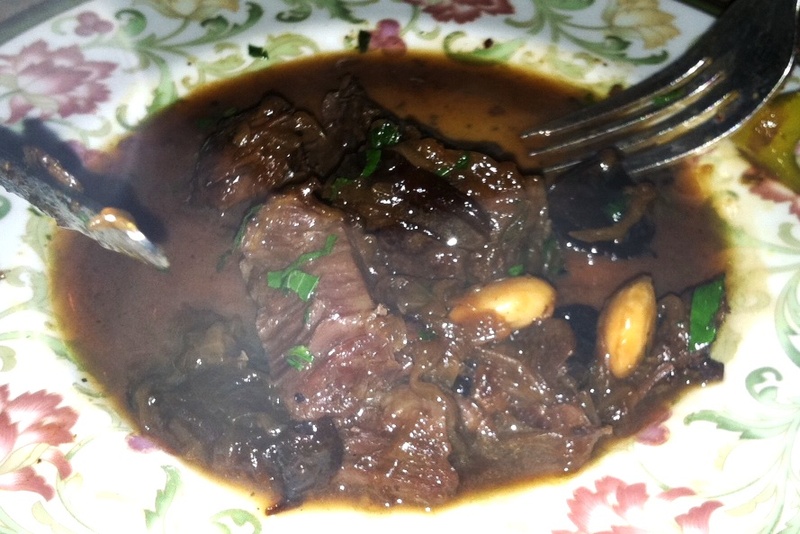 I had never tried beef cheek, but I make a chicken tagine at home that I just love. Apparently tagine and I get along very well. Kevin and I ended the night in our hotel’s very swanky lobby bar. The hotel’s club was full or privately rented out, so there was some overflow in the lobby. It was great watching all the people, and it was worlds apart from what I’m used to seeing. Although it was fun, all the beautiful (nearly naked) women kind of made me feel insecure and very self-conscious. I wasn’t really able to end the night on a good note, but I still had a really good time. Perhaps I’ll do another post on such insecurities at some point in the future. Sorry that was so long! Thanks for reading! *PS: Kaila over at Healthy Helper gave me a blogger award. I didn’t forget about it, and I’m excited to post it. I think I’ll do it as soon as I get home and things slow down a bit. Thanks Kaila! Good morning! Here I am in the lobby, loving some complimentary coffee and Internet. I enjoyed another Trader Joe’s bagel with whipped light cream cheese in the room, just like I did yesterday. 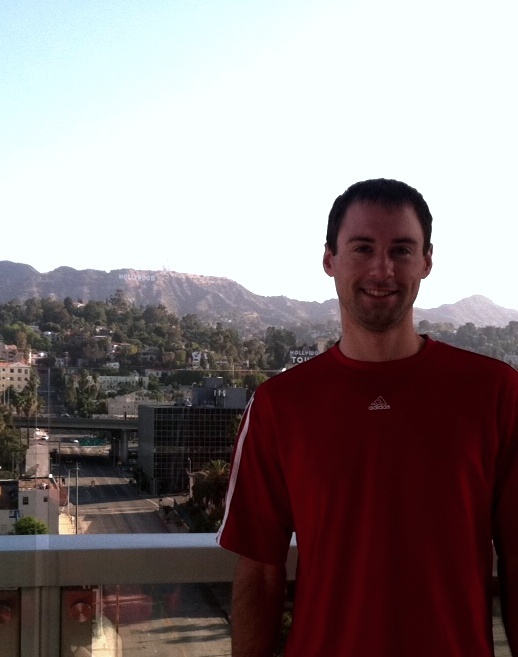 Kevin and I began the day Wednesday walking around Hollywood… and making another trip to Trader Joe’s. The TJ’s is so much bigger here! We saw the Chinese theater, the Kodak theater, and lots of shady stuff in between. Bail bonds, anyone? Can you see the "Hollywood" sign? It's there. Promise. We filmed a quick workout video that should be posted on FitSugar some time in June. I hope it’s soon! I thought I was going to get to workout with Jeanette, but all we did was the video. Luckily that was still pretty cool. I just wish I had known to workout on my own at the hotel before arriving. Jeanette sweetly offered to mail me a collection of her other workout DVDs. Yay! I think she felt badly that I didn’t get a workout. 🙂 Nice lady. Very high energy and very loud. But very nice lady, indeed. After the shoot, I was driven back to the hotel. I quickly showered, and one of Kevin’s friends picked us up to show us the town. We ate sushi (well, I had seaweed salad and salmon sashimi) and drove around to see the sights. I really wanted to hit up some of the bars we passed, but Kev and I were pretty worn out again. Sigh. Tonight, we will see a hint of night life. It’s “the thing” to do here, and I can’t believe we still haven’t! Hello from the airport! Although sitting in traffic, getting a random pat-down in security, and paying too much for my caffeine fix is not a good time, I’m still in a pretty darn good mood. I have a good lunch packed; I’m not at work. Most importantly, I’m about to leave for California! If you read yesterday’s post, you’ll know why, and you’ll also know this is my first trip to the Golden Coast. 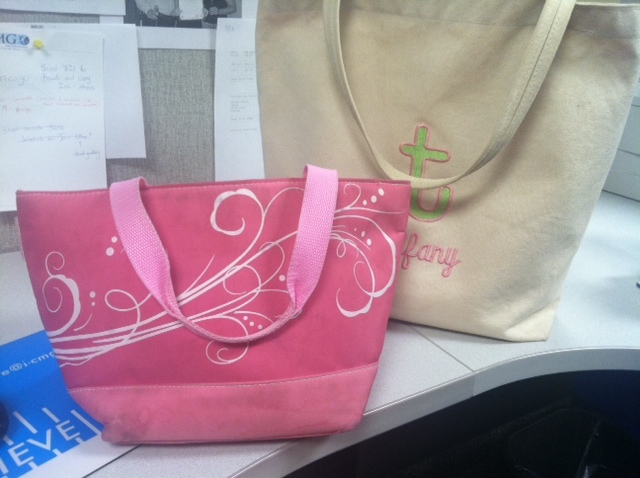 About that lunch… does anyone else pack lunches for random places? I like to pack lunches for trips to the mall, the airport, or just about anywhere I can get away with brining my own munchies. 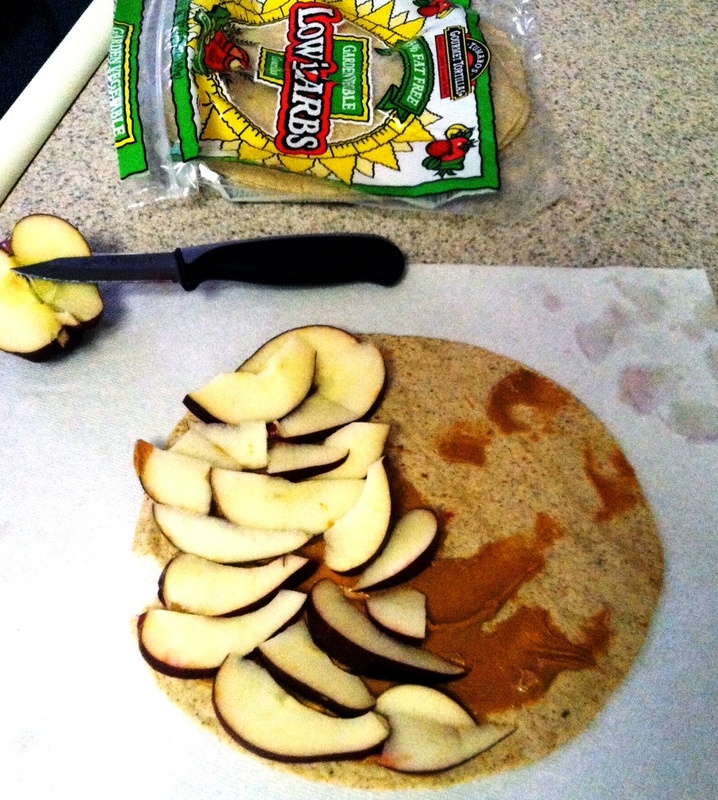 Today’s lunch is an apple and “peeb” quesadilla. I hope it’s not smooshed in my bag! I tried to take a pic for you guys, but I failed. Can you see me? I know you can at least see the plane, and I guess that’s cooler than I am anyway. I wanted to ask Kev to take my picture in my cute pink dress with my bright pink rolly bag, but I think we’re both a bit too embarrassed. Who knew airports were so crowded on Tuesdays??? Once we land, our room probably will not be ready, so we plan to leave our goods with the bellman and head straight for Trader Joe’s. I want to get a cheap bottle of champagne (for celebrating tonight), and breakfast/lunch stuff for the week. I don’t think our trendy hotel will be putting out a crappy but convenient continental breakfast! Around 3 p.m., the FitSugar people will pick me up for my consultation with C&J Nutrition. Due to the time change, we’ll be ready for dinner by then, but we will have to wait until our official dinner starts at 7 p.m. I’m excited about my foodie meal, but when you usually eat at 6:30 p.m. and have a 3-hour time difference, your stomach might start eating itself. I think I’m going to be picking up extra snacks at TJ’s! Yesterday’s post mentioned a trip, and now you get to hear the details. I won a trip from FitSugar to Hollywood, CA. Woohoo! We get to stay in a sweet hotel, enjoy a nutrition consultation with C&J Nutrition, a fitness consultation with Jeanette Jenkins, and do all sorts of workouts. Although we have the evenings free to see the sights, I don’t think we’ll party too much since I have to get up at 5:00 a.m. for the workouts. Thank goodness I’m used to that! We leave tomorrow for the trip, but don’t worry, I’ll bring my laptop and camera so that I can document all of our activities. Although I wish there was more room in the rigorous schedule for sight-seeing and relaxing, any day on vacation is better than a day at work, right? I can’t say I agree with Jeanette’s logic in this clip. In fact, I believe the opposite, but it’s always good to hear new perspectives. Maybe I’ll learn some good stuff I can share with you all. 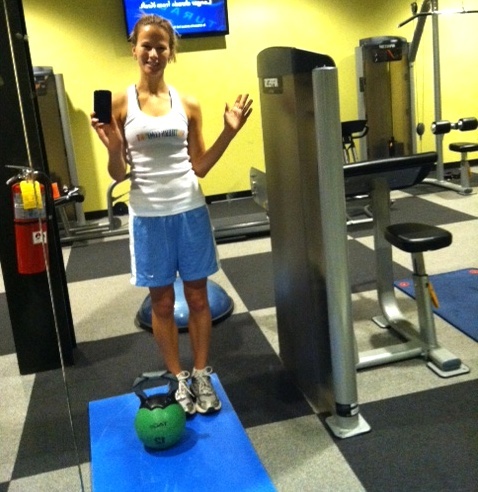 Tomorrow morning I might try and squeeze in a little pilates before flight, but today I had a regular gym session. I did 20 minutes on the elliptical before hitting the weights. In order to fit in the elliptical, I had to skip one exercise and superset a few others, but I made it work. The elliptical felt gooood after the hard run I had Saturday. (BTW, just found out I got 3rd place for my gender/age group!) At least I allowed myself to recuperate on Sunday. Kevin, a buddy, and I all went boating for a few hours. I got burnt to a crisp a little toasty, but I’ve got to be tan for Hollywood, right? I can’t wait to tell you guys all about it! Have a great week, and be sure to check in with me tomorrow to hear about our flight, nutrition consultation, and foodie dinner. 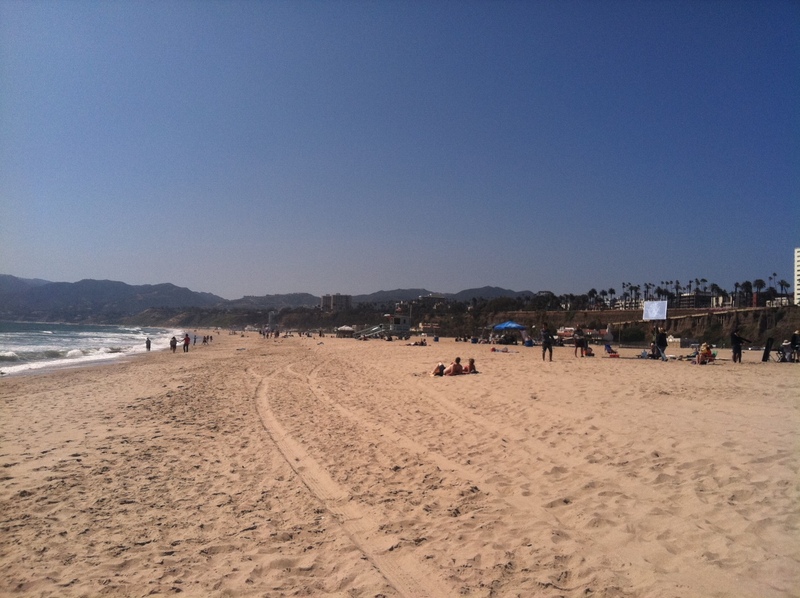 What are some must-do, must-see, or must-eat things in Hollywood/LA/Santa Monica? I need some tips! Howdy Bloggies! I hope everyone is having an excellent weekend. Mine has been pretty darn good so far. As regular readers know, I had my race yesterday, and I was pretty excited about it. 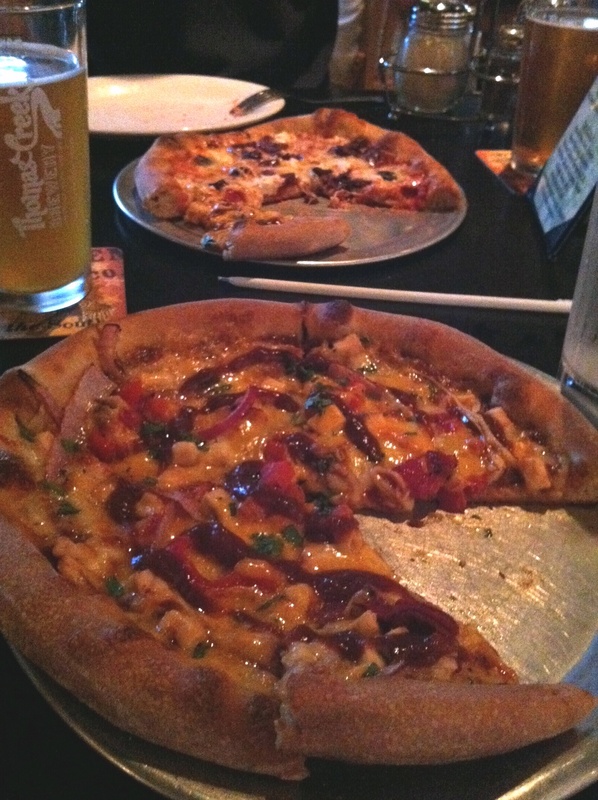 I celebrated in the evening with three of my favorite things, pizza, beer, and the Mister. We tried a new pizza place (new to me, anyway) that happened to be hosting a beer tasting. Coincidence? I think not. 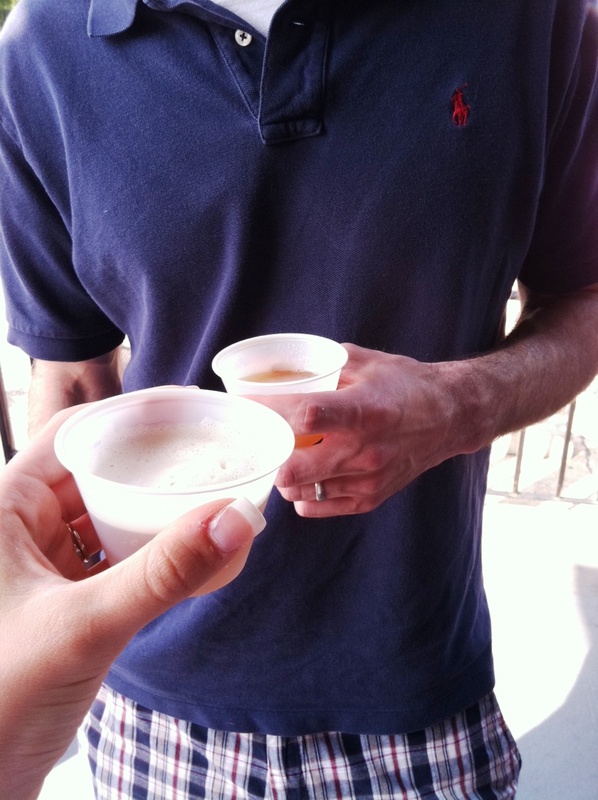 I tried two of the beers (in mini cups) and both gave me great respect for the brewery, NoDa Brewing Company. The first was a delicious IPA that was chock full of hoppy goodness. I like the name, Stretch Beerstrong. It was on the high-end of my alcohol tolerance level, but it was bursting with so much citrus flavor that you did not even notice the ABV, which came to 7.something%. 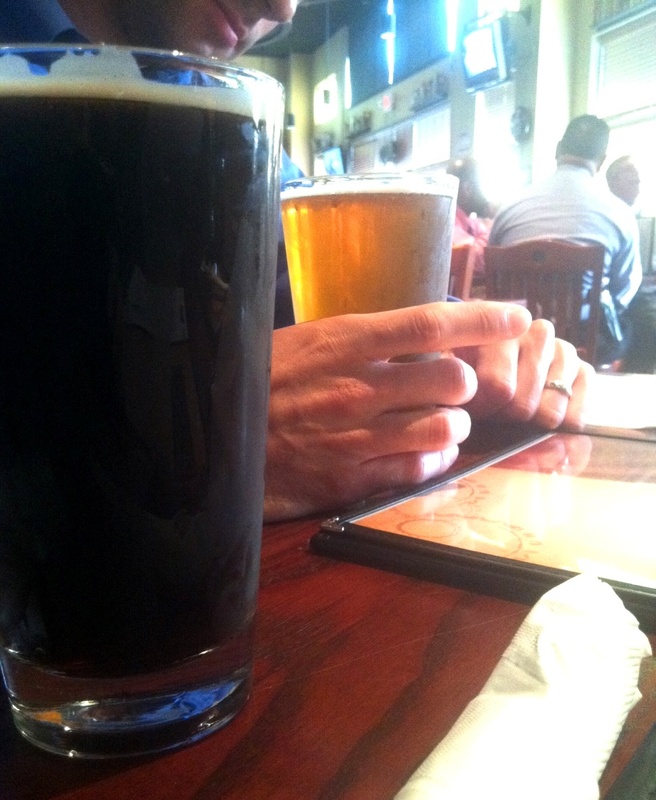 The brewery’s other beer was a Choco-Loco Porter. I was not a fan. It had a very chocolate taste that also hinted of ultra-sweet roast coconut. The beer was thick and heavy, though not too strong of alcohol (6.2% ABV). Even though I was not crazy about this beer, I feel it was more the style that I didn’t like. The brew itself seemed creative, unique, and artfully crafted with a blend of top-notch ingredients, so I still respect the brewery for this nearly undrinkable beer. Make sense, right? NoDa Brewing Company’s beer cannot yet be purchased. They *should* have growlers available by July and kegs available in October. Hurry up and get brewing! We also had pizzaaaaaa! Kev got a better one, and I was jealous. He at least let me trade a piece. Mine was still pretty darn good though. He had goat cheese and kalamata olives. I had bbq chicken. MMmm! I enjoyed my dinner with a Franziskaner Hefe, though I sort of regretted that beer choice. It suited the weather, but the hefe made for a poor pairing with my pizza. We had two friends come over last night after dinner to just sit, chat, and wrap up the evening. We plan to pack this morning and go boating in the afternoon. Pack? Yes, I said pack! We’re taking a trip, but I’m not telling you any more about it until Monday. You’re not going to believe the deets! Happy Friday! To kick off the weekend, I’d like give a quick brew. After work, Kev and I met a few buddies out for dinner and libations. I ordered a beer I had never tried from Great Lakes Brewing Co. that labels itself as “an environmentally and socially conscious brewer of award-winning, all natural beer.” Cool. I had the Edmund Fitzgerald American porter, which has 5.8% ABV. Beer Advocate gives it an A, and I agree. For its appearance, you can see it is has a rich, dark color, but it is not as dark as, say, a Guinness since this one still has chestnut undertones. 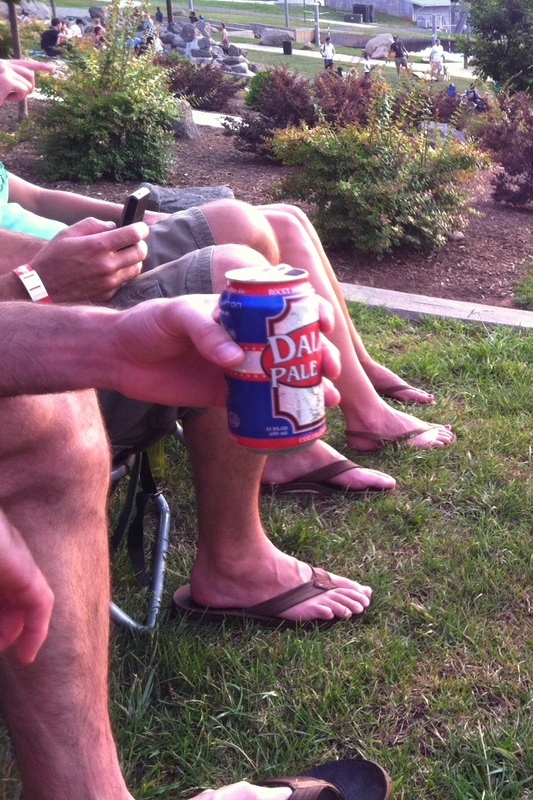 The beer also has minimal head. I wouldn’t think it would be a heady beer anyway, but I think our server let it sit at the bar a while too. (We had such bad service last night!) The Edmund Fitzgerald also has a lovely light-to-medium-strength aroma of coffee. Not Lookin' Tooooo Rough for 5:30 a.m. I still made my normal (ridiculously early) bedtime and hit the gym this morning after my alarm went off at 5 a.m. Today’s workout included 50 minutes of total-body strength training; I like to give myself a break from cardio on Fridays. A truly happy Friday indeed! When does your weekend start, Thursday or Friday? Do you have any plans for the weekend? The day started innocently enough with a three-mile run at 5:15 a.m. with my running buddy, Eliza, and her dog, Lexi. Upon my return, I finished up some abdominal work before downing my all-natural vanilla soy protein and jumping in the shower. 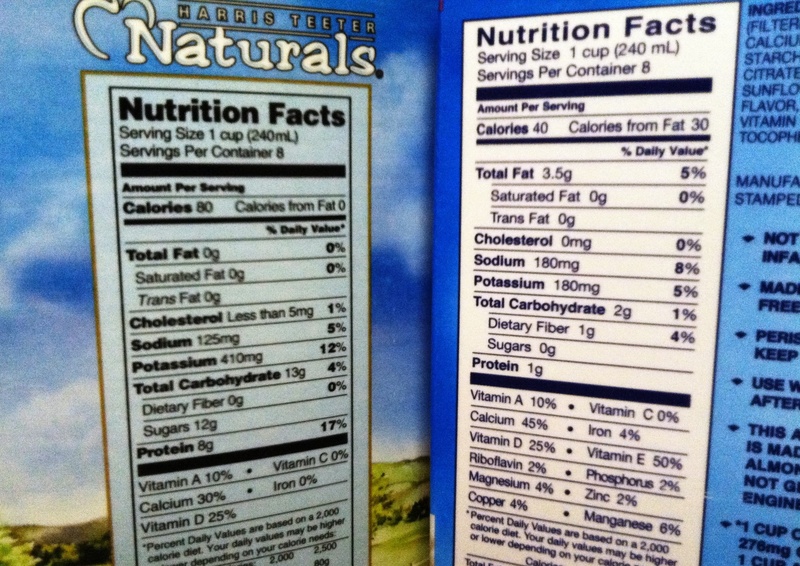 I used to be a die-hard Optimum Nutrition 100% whey fan, but I’m digging this all-natural stuff. I usually save my real breakfast for 8 a.m. when I get to work. Today, it was the glorious and the regular old-fashion oats with half a banana. It’s a good thing I got this large, handy, and now very beat-up lunch box a few years ago. I fill this thing to the brim on a daily basis! After work, Kevin met Eliza and her hubby out for a Cinco de Mayo dinner. The first Mexican restaurant we visited had a three hour wait. Hold up, yes, I just said three-friggin-hours! Our second stop was much better. We only waited 30 minutes. Sweet! No- what was really sweet was my strawberry margarita. Yes, this beer girl indulges in a yearly margarita. As expected, I was let down. It was weak and tasted of sugary, syrupy mix. I was hoping for more berry flavor. 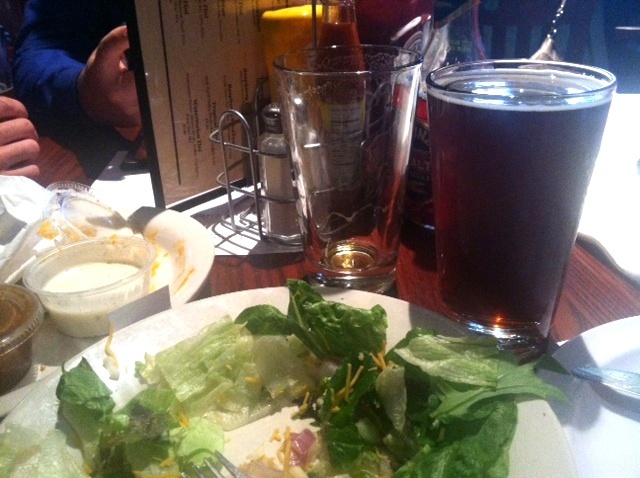 When dinner came, I switched back to beer! I branched out and tried a new one called Victoria; I was thoroughly pleased. Usually I’m a Dos Equis Amber girl, but Victoria was on special. Victoria is a Vienna style lager with a bread-like flavor. 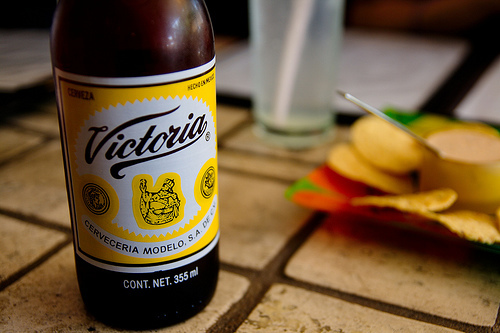 I hear its 4% ABV and Mexico’s oldest beer. This beer didn’t have the sweetness I usually dislike in lagers, and it lacked that horrible aftertaste of Corona. Score! Dinner was sort of a score, but not so much. Soft corn tacos soaked in salsa and filled with seasoned, grilled steak. I was bummed at the lack of veggies, but the beef had a great flavor. Even though I went for a cheese-free entrée, it wasn’t a very healthy choice once I inhaled enjoyed the side of beans and rice… and too many chips. Whoops! I told Kevin this would be my splurge meal and that he should be prepared for ultra-healthy weekend dinners! Before leaving the restaurant, we participated in a free raffle. 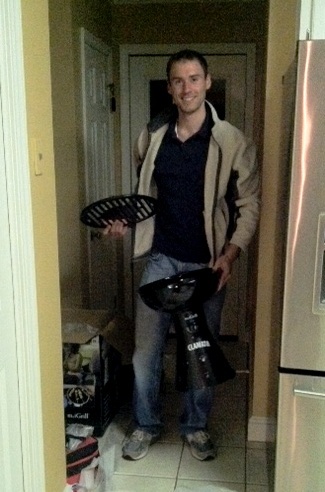 We ended up winning a grill! I mean, it’s nothing fancy, but it’d be great for camping. It uses propane for cooking and has speakers and a plug for an iPod. Winning! What did you do for Cinco de Mayo? Margaritas n’ chips or did you keep it healthy at home?